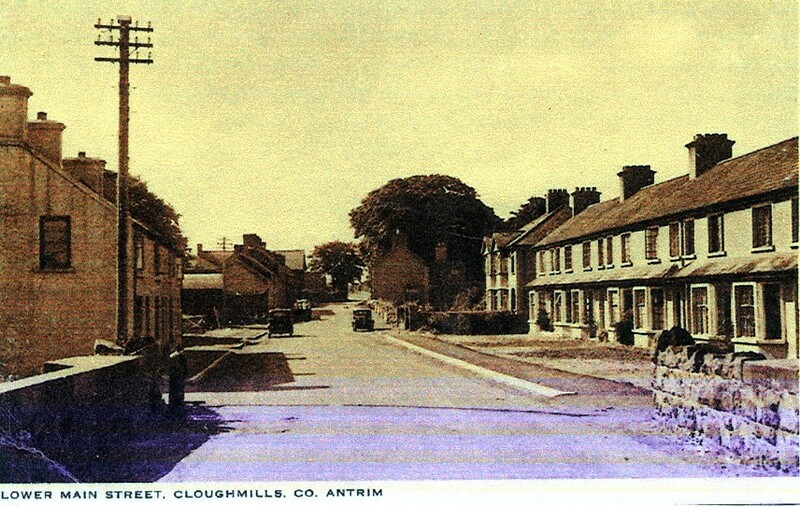 Mary Dynan, “Cloughmills in the 1930's,” Life Histories Archive, accessed April 22, 2019, http://www.lifehistoriesarchive.com/items/show/2020. This is a postcard that shows the semi-detached houses on the right which replaced Mary Dynan's grandparents house and pub in 1935. Mary Dynan's granny lived in one with her Uncle Patsy. Mary and her family lived in the other. When Mary's mother got married, her father and she moved into the last house in the Yellow Row beside the semi-detached houses while the new houses were being built. There was no running water so her mother had to get water from the pump which is also shown on the postcard.